The handball world has lost of one of its stalwarts following the death of Milan Valcic at the age of 83 in Serbia. Valcic was a well-known physical education teacher, player and coach in the former Yugoslavia. He was also an IHF referee and officiated at four Olympic Games including Munich in 1972, Montreal in 1976, Moscow in 1980 and Los Angeles in 1984. 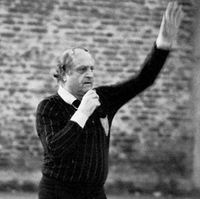 From 1984 through to 1998 he was the Secretary General of the Handball Federation of Yugoslavia, at a time when the country collected a number of Olympic and world titles. Valcic was also active for the EHF as a match delegate from 1994 through to 2002. In an official statement, a spokesperson from the Serbian Handball Federation, said: “Milan was recognised and respected around the world. The European Handball Federation would like to express its sincere condolences to the friends and family of Milan Valcic. His funeral took place in Belgrade, Serbia on Monday, 4 December 2017.